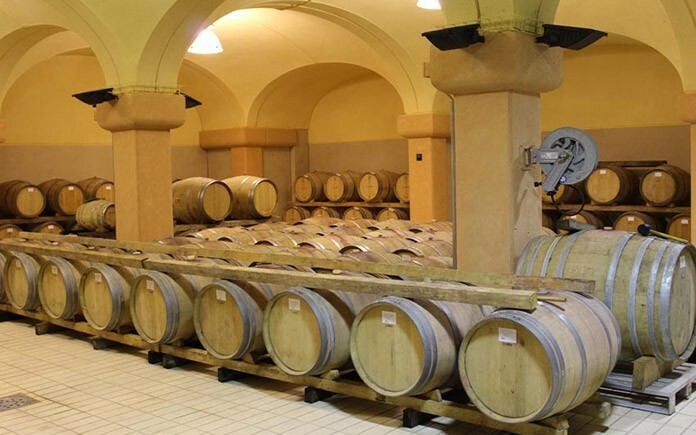 A private winery in one of the most beautiful regions of Italy: ancient walls, an idyllic vineyard and a vaulted cellar where the very best wines mature. Celebrities, stock market millionaires and others who can afford it make this dream come true. But how do you buy a vineyard in Tuscany? What comes next? Here’s a peek into a hobby pursued with discretion. To be enjoyed, but not talked about. After making the right decisions on the stock market or in business, some want to invest the profits into a decent venture. And why not enjoy it too? Maybe a winery? To uncork your own vintage every year, to invite friends into the old halls for a party in the countryside, to sit on the terrace in the evening sun and pour from the next bottle. It’s an idea that tempts many: celebrities like pop star Cliff Richard, conductor Justus Frantz, the Hollywood couple Angelina Jolie and Brad Pitt, and the Hollywood director Francis Ford Coppola, who have all bought estates here where good grapes grow and there is room and time to rest. And so a world-famous wine region in Italy has become a place to dream of: Tuscany. 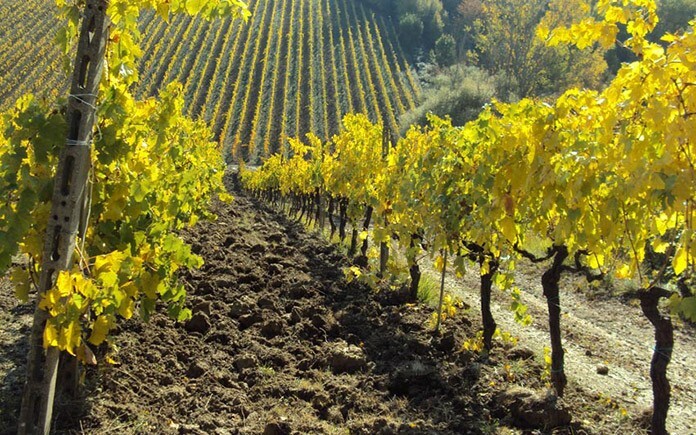 Here, for example, the pop stars Sting, Gianna Nannini, and singer Al Bano – who became famous with Romina Powers – produce wines from their own vineyards. So does Wolfgang Reitzle, former CEO of Linde AG and husband of the German television presenter Nina Ruge. 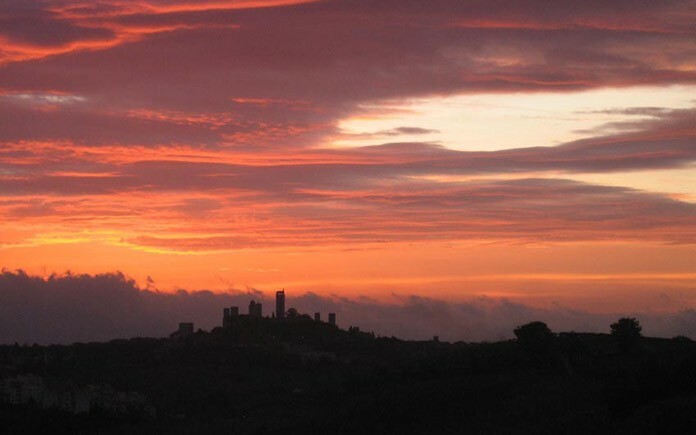 Not a lot of people know this: quite a few wineries in Tuscany are for sale at the moment. Bettina Kurz and Frank Höfinger know exactly which ones. The two worked for 20 years as entrepreneurs in Germany and for the past seven years have lived in San Gimignano, one of the most beautiful spots in Tuscany with an ancient tradition of growing white wine. At first they leased an estate with 10 hectares of vineyards and produced their wine, which met with much acclaim internationally. 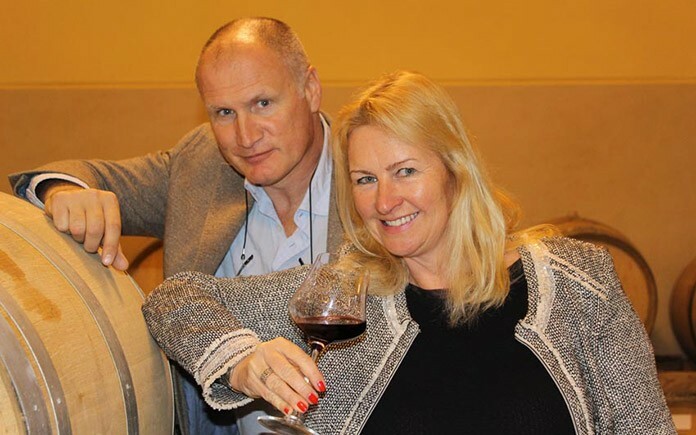 For several years now their company “Viva Business”(www.viva-business.com) has served as a go-between bringing together wineries with celebrities and wealthy families or with men who dream about bottling their own wine. But Kurz and Höfinger are not only brokers. They advise their clients on the technical side of vine-growing before and following the sale, and work on request as interim managers. Grapes may grow by themselves, but the vines did not grow out of the ground all on their own. The dream of having one’s very own fine wine can come true only with professional work, the right decisions, in-depth evaluations, and good business sense. Their investors, on the other hand, know wine mostly from opening the bottles brought up from their cellars or picking them from the menus of Michelin-starred restaurants. Who exactly these investors are is known only to Kurz and Höfinger, who keep the details private.b“We never name names – neither of our clients nor of the wineries that we put them in touch with”, Bettina Kurz makes clear. The other side insists on secrecy too. “The owner families want the sales to be handled discretely. They have a reputation to lose.” Most of the deals involve a lot of money. “If you’re serious, you have to bring at least 2.5 million euros to the table,” Frank Höfinger says. “But you can also invest 60 million at any time. That’s only a question of creditworthiness, of what you want, and of what you’re interested in.” The Russian billionaire Roman Abramovich, for example, they heard, wanted to buy the renowned Tuscan winery Banfi in Montalcino. He offered 500 million euros, but the company refused. The estate is not for sale, they informed him politely. Still, the pair do give away a little: their clients have included wealthy Germans, Austrian and Swiss, but primarily investors from London, the United States, eastern Europe, Saudi Arabia an Asia. “Recently we helped in the sale of a winery to a gentleman from Hong Kong, who had made a tidy profit from the initial public offering of the Ali Baba Internet portal. He came looking for an alternative investment that offered a yield, that was a suitable status symbol – and where he could celebrate a couple of times each year with friends in beautiful surroundings and in private. ”They were also in on the sale of a beautiful vineyard to six American business friends who loved wine. “They want to drink their own wine at home, produce only a small amount, and market it themselves through their contacts in the United States”, says Höfinger. “The organic aspect in the grape growing was very important to them, which applies incidentally to many of our clients.” Most of the interested parties from Hong Kong, though, are looking primarily for “a good return together with Italian tax savings”, Bettina Kurz adds. To others, in contrast, the excellent reputation of the wine region of Tuscany is especially important: “With them, status is the big thing. We recently brokered, for a very wealthy man, a vineyard from which he can see the tower of the Cathedral of Florence. That was, for him, the decisive reason to buy it.” He already had a yacht and a private jet. Kurz and Höfinger have slowly and patiently earned the trust of the landowners. They know what they’re talking about – and they can talk about it in perfect Italian. “The Germans are here considered particularly upright, and this image has helped us very much,” says Frank Höfinger with a laugh. Many owner families have deep roots in the countryside, and few of the young people speak English. This makes purchase negotiations quite difficult. As well, wholly different cultures, values and aspirations meet at the round table. Over it the two mediators must convey terms, clarify just what it all entails, and build bridges, just to make a transfer of an estate possible in the first place. 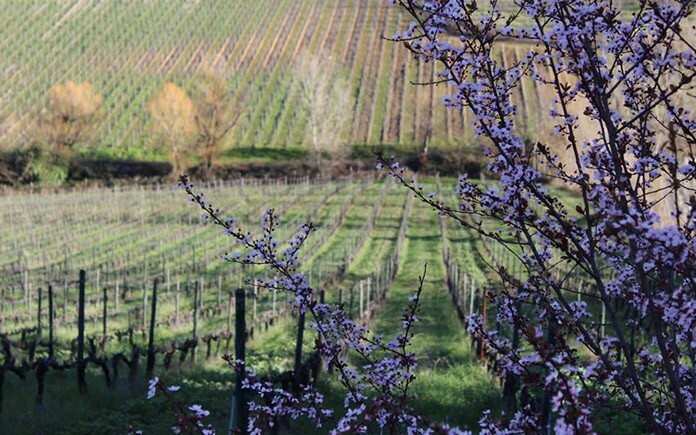 In the meantime, Kurz and Höfinger are managing several vineyards for their clients and working together with distinguished Tuscan wine experts, oenologists and agronomists – in the end, every client wants to press good wine out of the grapes. The biggest mistake potential buyers make is not to solicit the advice of locally rooted experts before making the purchase. They usually do the search and carry out the negotiations by themselves, and often either the deal falls through or they end up paying grossly inflated prices. “The prices of the vineyards, you see, depend not only on the property of the estate and on the estate itself, but in Tuscany, they really depend on the price the wine fetches”, Frank Höfinger emphasizes. “Vintners who get 50 euros a bottle can demand a higher price than a family that may get only 10 euros. Estates in renowned regions are therefore much more expensive than they are in no-name areas. The prices also fluctuate wildly. So our job is first to find a realistic value, then to negotiate – and finally to organize the day-to-day operation. Our clients have no idea of all this and most of them are too busy to learn it. ”And they can be choosy, and bring lists of demands that can be rather lengthy. It can take a year, sometimes two, until the pair have found a suitable estate for a client. At some point, though, the dream finally comes true. Papers signed and sealed, the new owner stops by now and then with friends, stays a few days, looks around, and soon runs off again. It’s truly lovely here, after all.